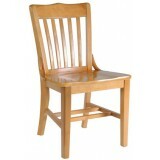 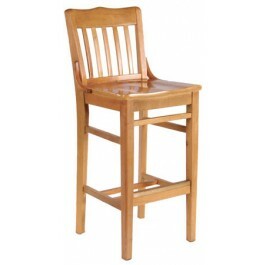 This bar stool features solid beech hardwood construction. 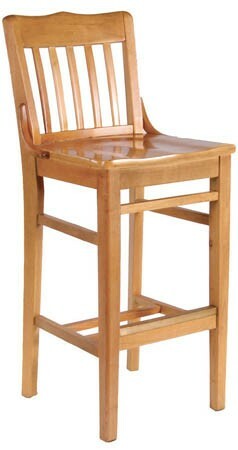 It has a thick, beech plywood seat. 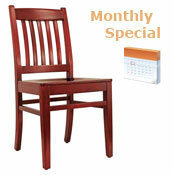 The wood is stained and lacquered with a heavy duty polyurethane finish and available in a variety of stain colors.